Brewcade is San Francisco’s first iteration of the new genre of craft beer bars featuring vintage electronic arcade games. The games, music and neon are fun but they shouldn’t distract you from a well selected tap list, 24 deep, featuring mostly California selections. This is complemented by a sizable and varied bottle list. The servers know their beers and are helpful in navigating the draft and bottle selections. There is also a nice selection of soft drinks as well as one line reserved for coffee. Small bar snacks are available and they encourage customers to order food in from local restaurants. Extras: Google may suggest 15th, but walking 16th Street is more fun. You’ll pass vibrant restaurants for two blocks, then traverse a residential area near the church that anchored the first European settlement of SF, Mission Dolores. 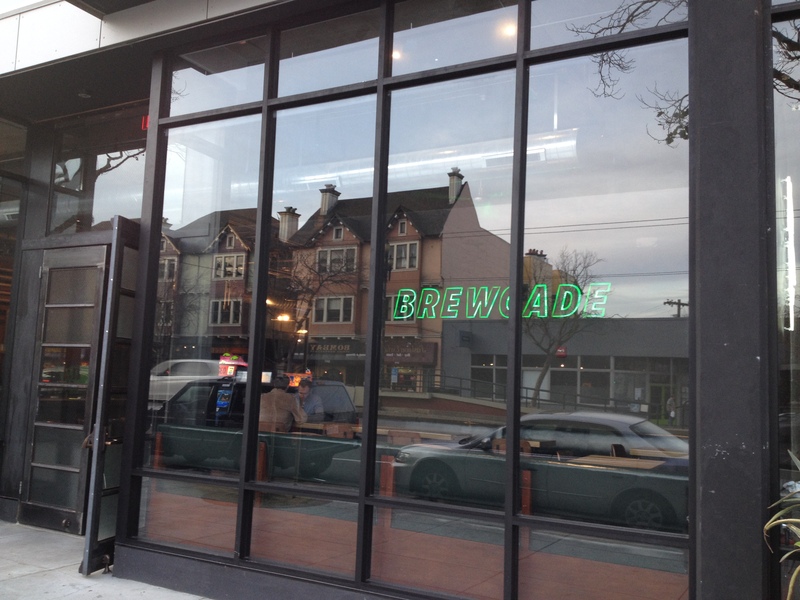 Brewcade is also within easy walking distance of Toronado on Haight Street or Cerveceria on 18th Street for a change of atmosphere. From 16th St BART, exit the station and walk east on 16th street, slightly uphill towards Valencia Street. Continue to Sanchez Stret. Turn right on short block to Market. Cross Market and turn left up the street to Brewcade. Or From Civic Center BART it’s over a mile, so you may want to take SF MUNI to get to within a block. At your choice of the Embarcadero, Montgomery, Powell or Civic Center stations, exit BART and enter MUNI Metro underground in the same station. Take MUNI outbound trains K/T, L, or M to Church Street Station. Exit MUNI on the side of the platform where you got off. Walk 1 and 1/2 block uphill along Market to Brewcade.